This piece originally appeared on Townhall Finance. The Millennial Generation is now fully vested in the workforce, making way for Generation Z and giving Baby Boom and Gen-X managers heartburn. Lazy, unfocused, disloyal…many professionals seem to wonder what’s there? 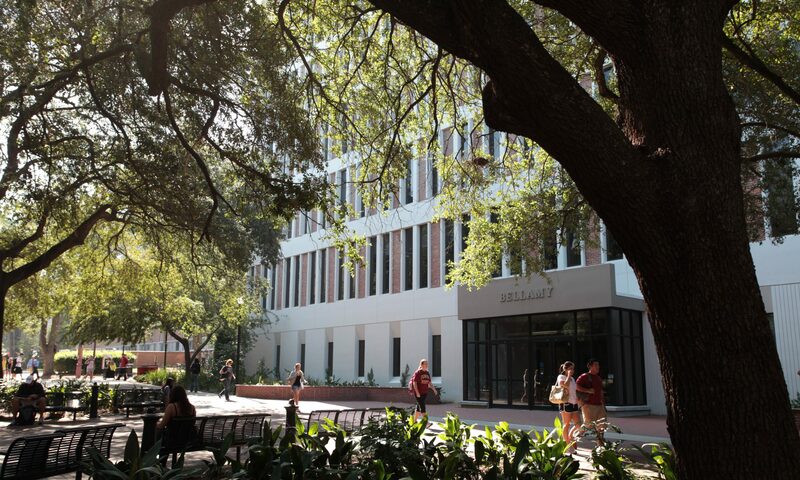 A lot from my vantage point as Director of the DeVoe Moore Center, a market-oriented public policy think tank, at Florida State University. I see and work with Millennials everyday as young men and women eager to enter into the professional workforce. But, as a Baby Boomer, I also recognize that this generation is different in fundamental ways. I need to be manage them accordingly to achieve our productivity goals. I have to think of them as entrepreneurs, not commodities. Over the past six years, the DeVoe Moore Center has growth from a staff of just one full-time and two part-time employees and faculty, all Baby Boomers, to an organization of nearly 30 (11.5 full-time equivalents). Eighty percent of these workers are Millennials, and they are fantastic employees when managed the right way. In fact, “managing” is not the right term for the way we approach Millennials in our workplace. Coaching and mentoring are more appropriate. Rather than think of our Millennial staff and researchers as traditional workers, we think of them as human assets that need to be nurtured, guided, and fulfilled. This management frame is fundamentally different from the one we often find in the traditional professional workplace where the principles of hierarchy and “paying your dues” prevail. New employees are “directed” by a supervisor and given specific tasks and assignments that meet goals or objectives that are abstract and ephemeral to new hires or lower-level employee. Millennials have little room for creativity or entrepreneurially directed passion. We have found Millennials need a purpose to stay fulfilled and committed to our organizational goals and objectives. When they see how they fit into the larger goals of the organization, and how their skills and effort will directly serve to meet those goals, they became inspired. More importantly, they become creative and entrepreneurial. For example, the DeVoe Moore Center recently seized an unusual opportunity to embark on an ambitious research project analyzing nearly 150,000 emails, texts, and reports to more fully understand the practical nature of economic development decisionmaking on the local level. I tasked our data analytics group manager, an undergraduate student in a compensated position, to clean the data, identify resources for analyzing it (knowing he did not have the skills), and present a research plan. He ended up independently laying the groundwork for partnerships with faculty and doctoral students in the university’s department of computation science and school of public policy. The faculty he interacted with assumed he was a graduate student based on his demeanor and professionalism. At the end of the academic year, he had job offers from two major national financial firms despite entering his senior year with a GPA well be below 3.0 in what is effectively an unfocused liberal arts major. As a working think tank, we have been able to create new programs such as a professional policy blog, expanding our social media presence, and launch research projects in core areas such as local land-use regulation because of their initiatives. We have also provided opportunities for students to create a portfolio of work, pursue research suitable for presentation at professional conferences, and create an information and knowledge base valuable to private companies and organizations. To be sure, the center’s rapid growth has come with many organizational tensions and conflicts. Building an infrastructure capable of supporting a younger, less experienced workforce has required accepting great variability in the quality of the input. We have adopted rigorous internal editing and quality review processes to ensure their work is refined in steps and stages of production. Some of these protocols and procedures have been emulated by other organizations and divisions within the university. But the expanding size of the DeVoe L. Moore Center’s workforce and volume of its output has been less of an obstacle than understanding and coming to grips with the attitudes and values of Millennials (and the emerging Gen Z). Over the years, we have experimented with different incentive systems, organizational structures, and communication strategies. We are now honing in on what we believe is a successful and sustainable business model. Fundamental to this new business model is thinking about the workplace as an applied laboratory for Millennials to test their wings and guide them to higher levels of productivity and quality output. The solution was reorganizing and refocusing the lower levels of the organization, not changing our goals or diluting our mission. Along the way, we have found several resources useful in thinking through how the Millennial workplace should be organized to leverage the enthusiasm, commitment, and entrepreneurial energy of this generation. Few primers have been more cogent in explaining the Millennial generation’s attitudes, expectations, and practical behavior than Gabrielle Bosché’s slim volume Five Millennial Myths. Bosché is principal in her human resource consulting firm Millennial Solutions. I first learned about the book and her views while attending Sayfie Leadership Summit in Florida where she was a keynote speaker. I was well into my transformation of the DeVoe Moore Center at the time, but Bosché’s experience as a human resource management consultant began validating much of what I experienced working with this generation. As Bosché ticked off the myths, and discussed their mirror attributes, I kept nodding my head as strings of light bulbs went in my head. She was giving me a more disciplined and rigorous structure to my ad hoc attempts to adjust the workplace to this generation. Millennials were not lazy; they just needed to be inspired. They responded well to being coached, and were turned off by lectures and micromanagement of their tasks. The key for managers is to recognize that this is a bottom up generation, more inspired by social impact than their predecessors, was also willing to invest long hours in meaningful work. Bingo. More recently, I have found that a different set of writings have helped me fine tune our management mode. A productive workplace for Millennials very much aligns with the principles of experiential, applied, and active teaching in the classroom. My workplace was not a factory churning out commodities. It was a work laboratory where we immersed our newest “hires” in organizational processes and expectations that allowed them to navigate the professional world. These principles and tools mirror “best practices” in effective teaching based neuroscience and our understanding of how learning happens. These insights about classroom learning fundamentally shape how we think and work with our Millennial staff. Learner-Centered Teaching: Putting the Research on Learning into Practice and How Learning Works: 7 Research-Based Principles for Smart Teaching are two of several books that summarize the state of the art when applied to college classrooms, and their insights are important for the workplace. Millennials instinctively have a growth mindset, a result of two generations worth of parents bucking them up with confidence and a sense of personal empowerment. This is a generation that is hands-on, active learners, willing to roll up their sleeves to get things done. They thrive in environments that encourage active learning, experiential education, skill acquisition, and practical applications for results. The more managers understand the benefits of inspiration, structure their workplaces for group learning, and recognize the knowledge generation is more powerful than knowledge acquisition, the more effective the Millennial generation will be. 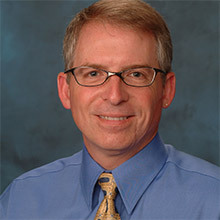 Samuel R. Staley, Ph.D., is the Director of the DeVoe L. Moore Center in the College of Social Sciences and Public Policy at Florida State University. The featured image is from Eastside Online. Previous PostPrevious What Can We Expect From This Year’s Hurricane Season?